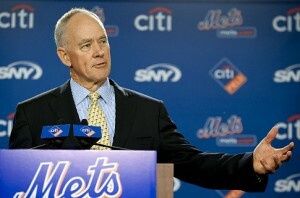 Dartmouth College alumnus and former U.S. marine Sandy Alderson was the real pioneer behind Moneyball. The Ivy League and Moneyball are intimately tied. When you think of Moneyball, you probably think of the movie that came out this year starring Brad Pitt and Jonah Hill. Maybe you think of the bestselling novel by Michael Lewis on which the movie was based. Maybe you think of Billy Beane, the GM of the Oakland A’s who Pitt plays in the film…the guy who bought into a system of evaluating players based on cold hard data rather than by the old school method of subjective analysis. But we want our readers to know that Moneyball really stemmed from Beane’s mentor — Dartmouth College alumnus Sandy Alderson (Alderson is also a graduate of Harvard Law School). Alderson, the former General Manager of the Oakland A’s as well as the San Diego Padres (and the current GM of the New York Mets), pioneered using data driven analytics in Major League Baseball. He’s just a modest guy who is okay with others getting credit for his unconventional thinking that challenged the status quo but is now widely accepted within baseball circles. Indeed Sandy Alderson is as much behind Moneyball as Billy Beane and Billy Beane himself would certainly agree with this. So we’d like to salute Sandy Alderson, the Ivy League graduate and former United States Marine (who served in Vietnam), for changing the business of baseball, for inspiring a movie about his unconventional thinking, and for letting others take all the credit. While you’re here, check out this post on Yale Athletic Recruiting and see how the university draws inspiration from Moneyball.